Ashberry is a family run, smoke-free self-catering vacation rental apartment, sleeping a family of 4 or 3 single individuals; on the north side of Aberdeen, with private parking, on city centre bus routes, within 2 miles of the railway/coach/ferry terminals and 6 miles from Dyce (Aberdeen) airport, and walking distance of Aberdeen Royal Infirmary and University. The apartment comprises 2 bedrooms, TV lounge/dining area and kitchen with full self catering facilities (oven, microwave, fridge, freezer, kettle, dishes, etc. ), 40" HDTV/DVD, and free broadband WiFi internet access. Sainsbury Supermarket and local eateries are nearby. Convenient for Whisky/Castle/Coastal Trails, Royal Deeside and Scottish Highlands. 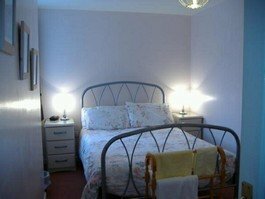 Rental Payment includes local taxes, heat & light, factors fees, welcome food pack and weekly chage of bed linen and towels. Please note, Ashberry is a NO SMOKING establishment. 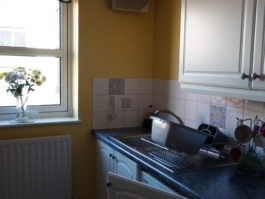 All Prices include heating, lighting, local taxes, factors fees & welcome food pack. 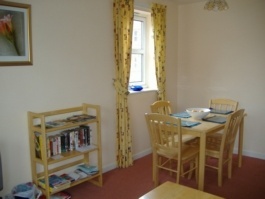 Short term holiday lets and longer term occupancy available on request. Entry between 5 - 7pm. Vacate by 11am. Maximum of family of 4 persons or 3 single individuals staying (plus baby or toddler). NO smoking or drug taking allowed in apartment or stairwells.